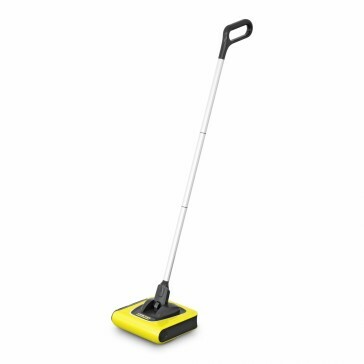 The Kärcher cordless sweeper picks up dirt, debris, pet hair and crumbs in seconds, then stores away neatly until you next need it. It's simple to use and easy to empty. Most homes need an everyday once-over, just to pick up crumbs or pet hair, or dirt walked in from outside. Getting the vacuum cleaner out every time can be a lot of effort, but that's where the Kärcher Cordless Sweeper comes in. 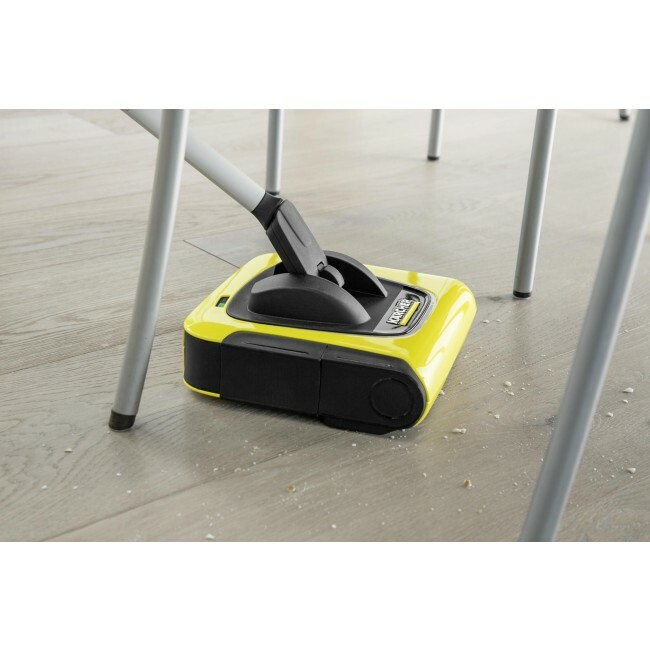 It's an innovative battery powered electric sweeper that picks up everyday dirt in seconds, then stores away neatly in a closet or a corner until you next need it. 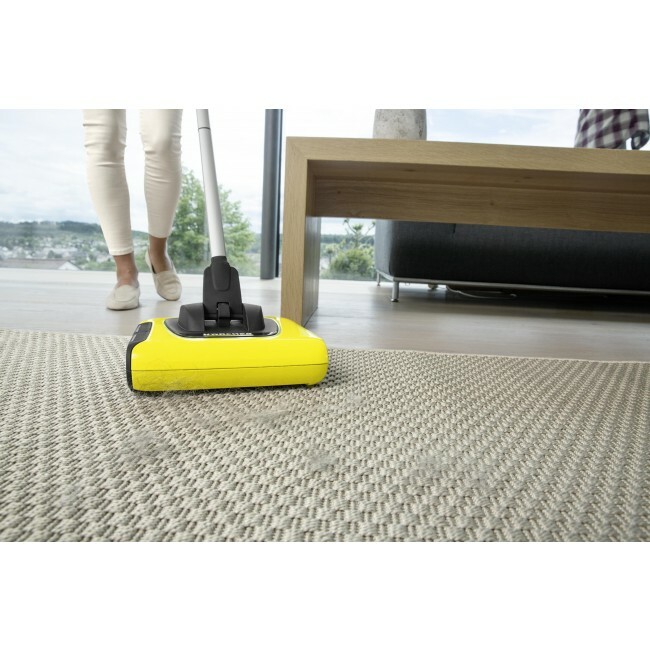 The rotating brush delivers outstanding performance for such a compact and simple design, and cleans right to the edge on both hard floors and carpets. 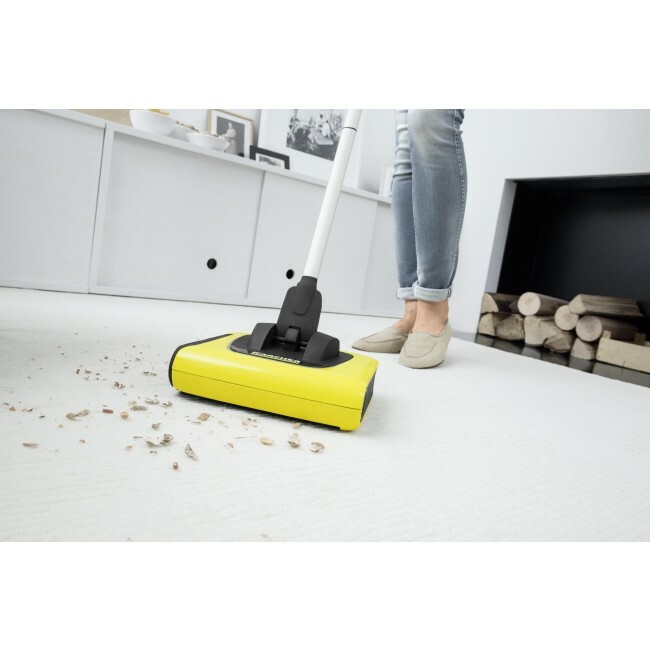 You'll find the Kärcher KB5 electric broom a pleasure to use from the moment you start - there are no buttons to press, you simply tilt the handle and it starts automatically, then steers effortlessly around furniture. 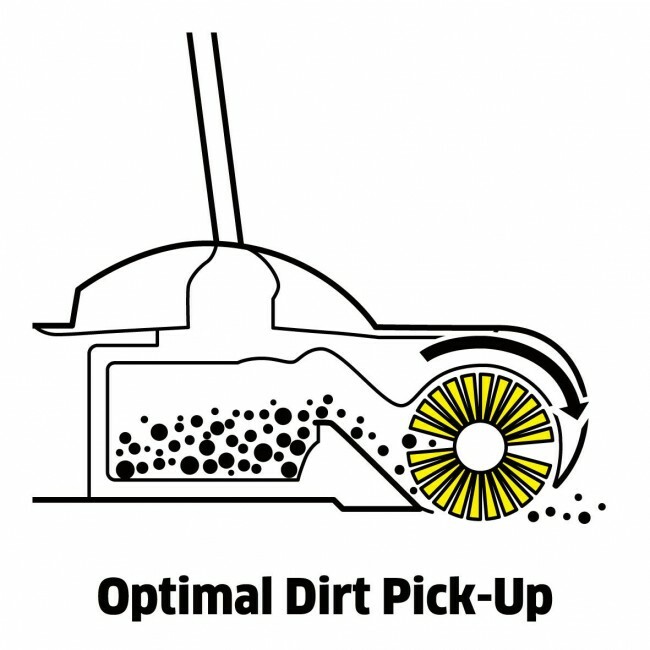 It's easy to empty and gives you 30 minutes of cleaning power before it needs to be charged. The electric cordless sweeper comes with a two year guarantee.